Want to check your Gmail inbox without pointing and clicking? 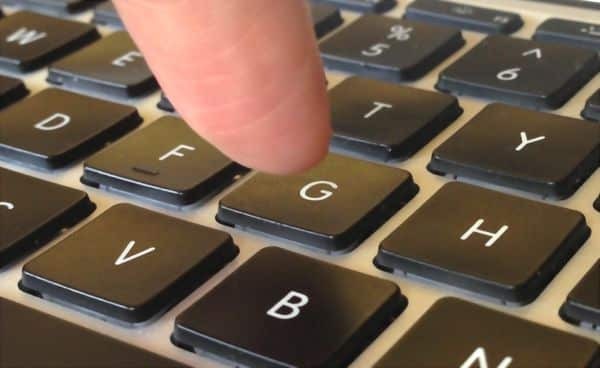 You’ll barely have to touch your mouse with these handy keyboard shortcuts at your fingertips. You can compose a new message, archive old ones, jump back and forth between email threads, and more, all at the press of a key. Want to ditch your mouse while using Gmail? Make sure to enable keyboard shortcuts first. Open your Gmail inbox, click the gear icon in the top-right corner of the screen, then select Settings. Make sure the General tab along the top of the page is selected, scroll down to the Keyboard Shortcuts setting, and switch it on. Scroll down to the very bottom of the page and click the “Save Changes” button. So, ready to plow through your Gmail with nary a mouse click? Just press the “c” key to compose a new message. Whenever you “archive” a Gmail message, it ends up in your All Mail folder—an archive of every single email you’ve ever received or sent (save for any messages you’ve permanently deleted). So, you’ve just read an email and you’re done with it—no need to reply or otherwise take action. If that’s the case, just press “e” to send the message—or the entire thread (or “conversation,” in Gmail parlance) to your All Mail archive. Press the Shift key + “u” to mark an email as “unread,” perfect for making sure you give an important message a second look. On the flip side, you can also mark a message as “read” by selecting it and pressing Shift key + “i”. Finished typing your email? Don’t touch that mouse. Instead, just press the Tab key + Enter to send. Ready to check your inbox again? Tap “g,” then “i” (“go” to “inbox”). Skip to a newer message (“n” for newer) within a conversation, or go back to the previous (“p”) message. Open the most recent message in your inbox, or open a selected message. There are a few keyboard shortcuts that will work in Gmail even if the Keyboard Shortcuts setting isn’t enabled. For example, you can press the Control key (or Command, on a Mac) plus Enter to send a message, Control (Command for Mac) + Shift + c to Cc someone, or Control (Command for Mac) + Shift + b to add Bcc recipients. Of course, there are many more keyboard shortcuts for Gmail where these came from. Got some you’d like to share? Post ’em below!